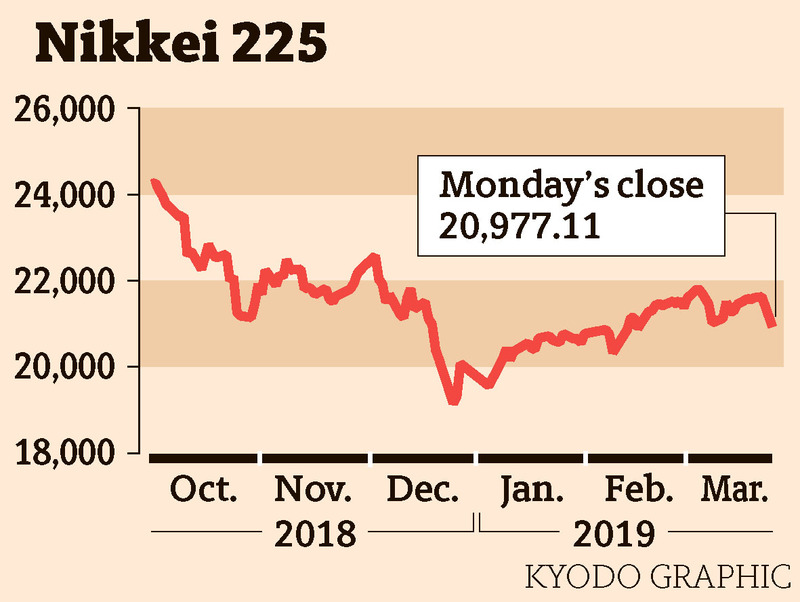 Tokyo stocks tumbled Monday, with the Nikkei 225 index logging its biggest point loss since Dec. 25 on rekindled concerns over the global economy following the release of sluggish U.S. and European economic data. Investors ditched shares and fled to the safety of bonds as risk assets fell out of favor on growing fears of a U.S. recession, sending global yields plunging. The Nikkei ended the day 650.23 points, or 3.01 percent, lower at 20,977.11, its lowest close since Feb. 15. The broader Topix, which covers all first section issues on the Tokyo Stock Exchange, finished 39.70 points, or 2.45 percent, in the red at 1,577.41. Every industry category in the main section lost ground, led by oil and coal product, nonferrous metal and machinery issues. 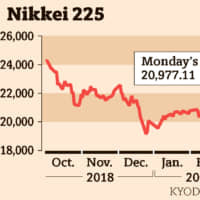 Tracking slumps in U.S. and European shares late last week, Tokyo stocks opened sharply lower and later extended their losses to fall below the 21,000 threshold. The Nikkei briefly lost over 700 points. The day’s fall was the largest for the Nikkei since Dec. 25, when it closed 1,010.45 points lower. Manufacturing output data from Germany came in weaker than expected, while measurements of manufacturing and services activities in the United States showed sluggishness. 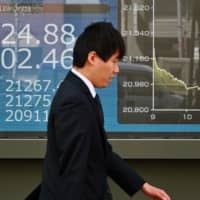 Makoto Sengoku, a market analyst at the Tokai Tokyo Research Institute, said the market “overreacted” to the overseas data and economic growth would not weaken sharply. In the first section, declining issues outnumbered advancers 2,014 to 104, with 22 ending the day unchanged. 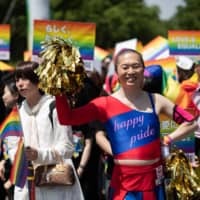 Nikkei heavyweight SoftBank Group Corp., which invests heavily in global startup technology companies, slid ¥565, or 5.0 percent, to ¥10,705. 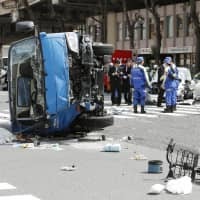 Construction machinery company Komatsu Ltd. declined ¥110.50, or 4.1 percent, to ¥2,554.50, and factory automation equipment firm Fanuc sank ¥750, or 3.8 percent, to ¥18,800. 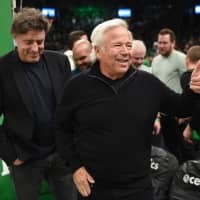 Trading volume on the main section fell to 1.33 billion shares from Friday’s 1.37 billion. As the sell-off that struck the U.S. and Europe on Friday ripped through Asian stock markets, investors said more pain is yet to come. 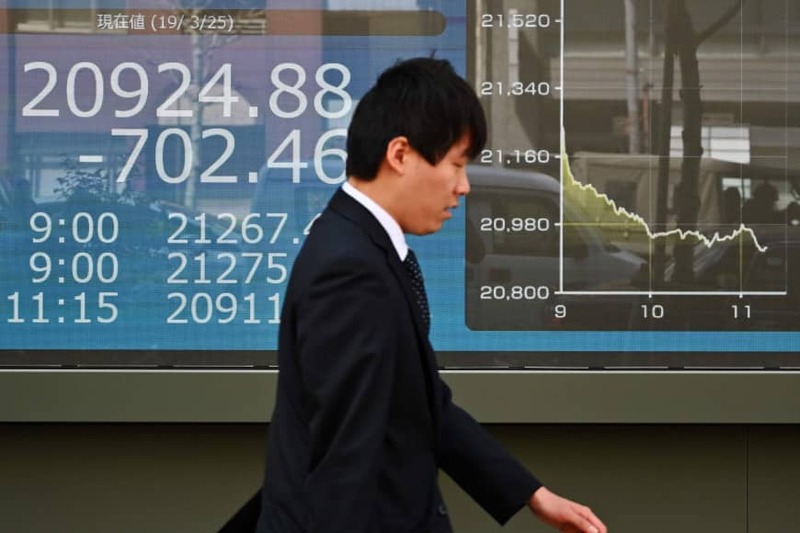 Indexes in Australia, Hong Kong and China also tumbled Monday. The moves came after U.S. shares notched their worst day in 11 weeks on Friday as a gauge of Treasuries inverted and data from Europe renewed fears about global growth. U.S. 10-year treasury yields were 1.9 basis points below three-month rates after yields inverted for the first time since 2007 on Friday. Historically, an inverted yield curve — where long-term rates fall below short-term — has signaled an upcoming recession. “Historically a ‘dovish’ Fed is not necessarily a good sign, as it announces that an economic downturn is on the way,” said Eleanor Creagh, Sydney-based market strategist at Saxo Capital Markets (Australia). “And the bottom line is growth is slowing,” she said. Still, not everyone is pessimistic. While a short downturn in global markets is possible, Bryan Goh, executive director and chief investment officer for Singapore at Bordier & Cie, said it probably won’t last.